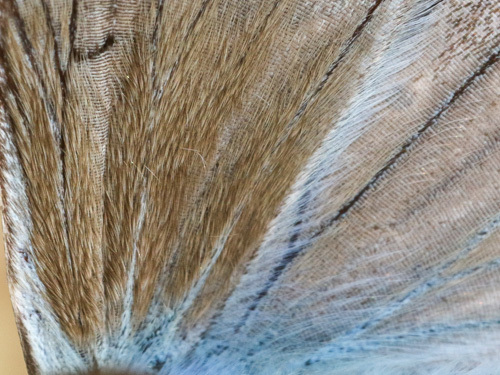 This taxon has always been subject to much debate. 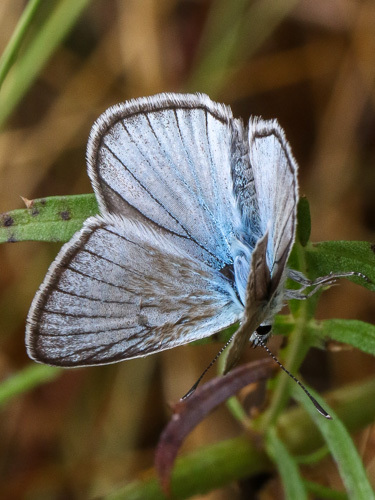 The current situation as I interpret it is that this is a separate species from the furry blue P. dolus which is found further east and north. 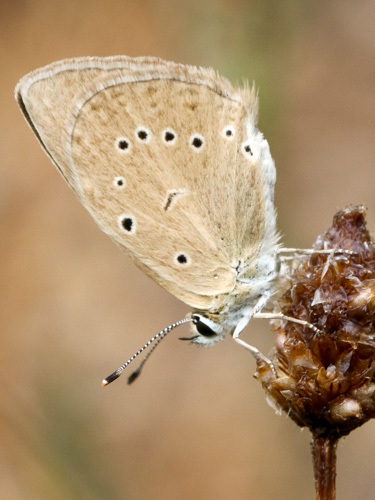 The former species P. ainsae is considered as a subspecies or form of P. fulgens, found at the western end of the range of this species. 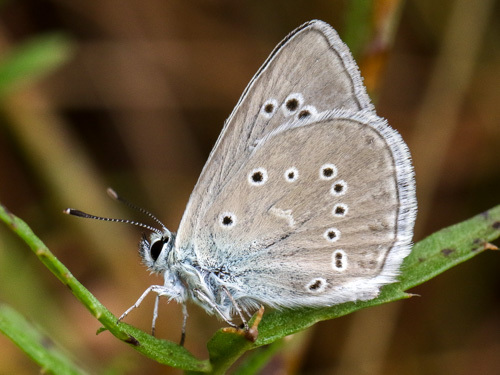 P. ainsae formerly carried the English name "Forster's furry blue" which I've now applied to P. fulgens on this website. 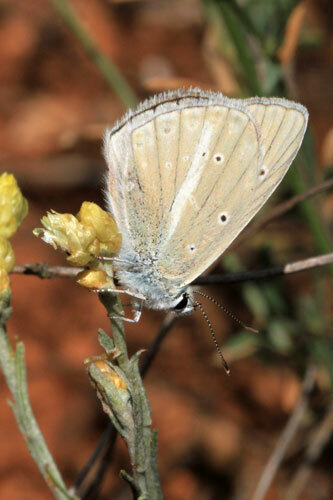 Identification & Similar species: Very similar to P. dolus furry blue, with significant overlap in characteristics. 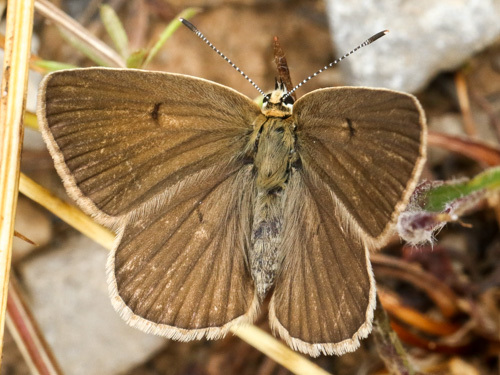 Chromosomal analyses indicate that the current species is confined to Spain, separated by the Pyrenees from P. dolus in France and Italy. 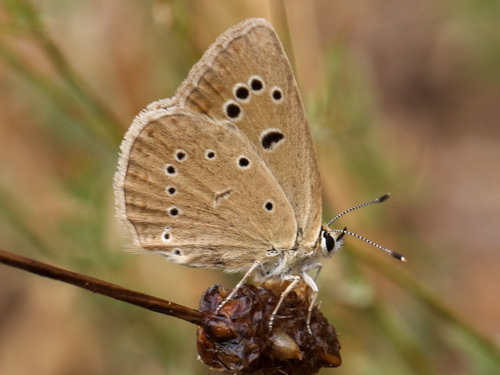 The taxon ainsae has more extensive and rougher andriconal scales on the upperside forewing. 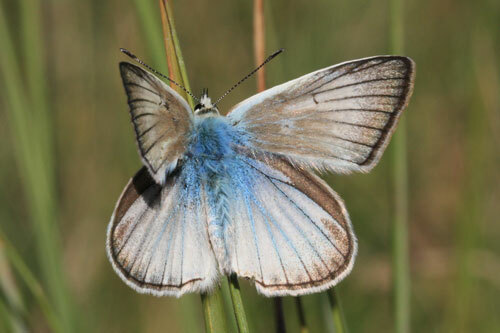 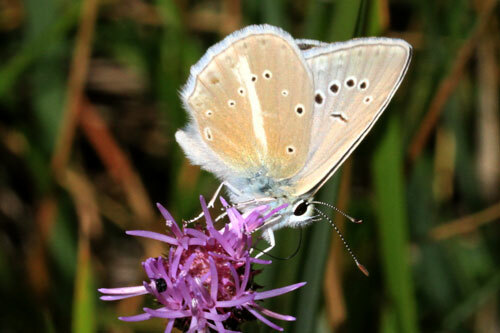 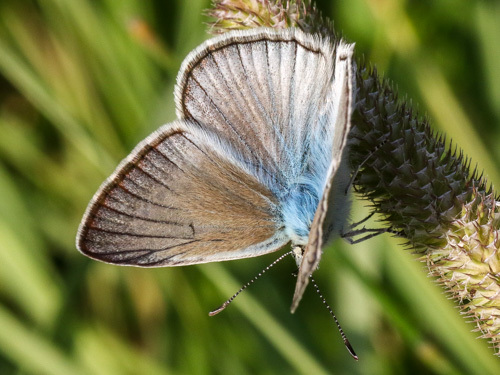 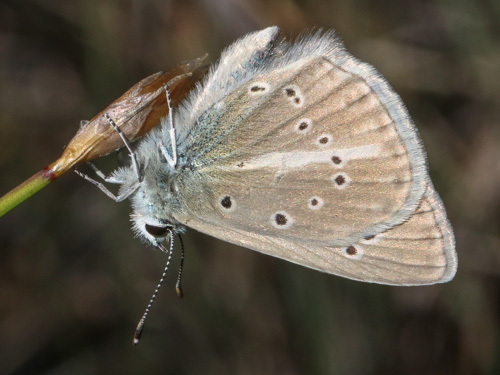 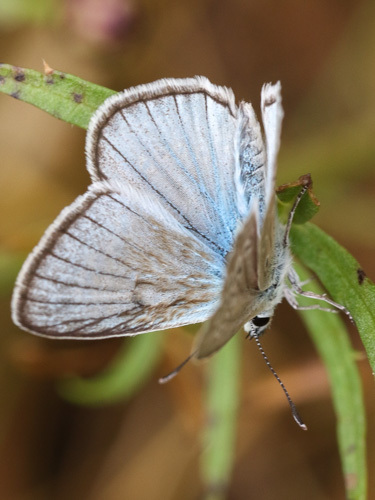 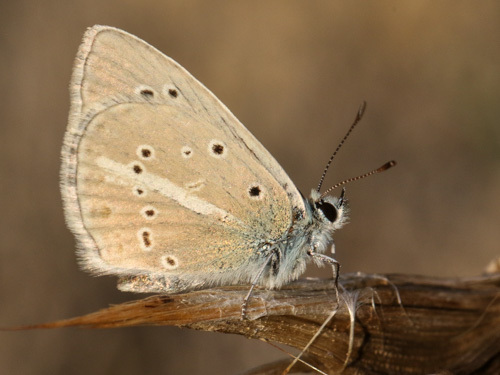 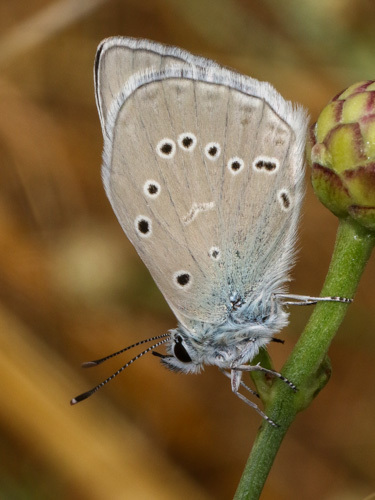 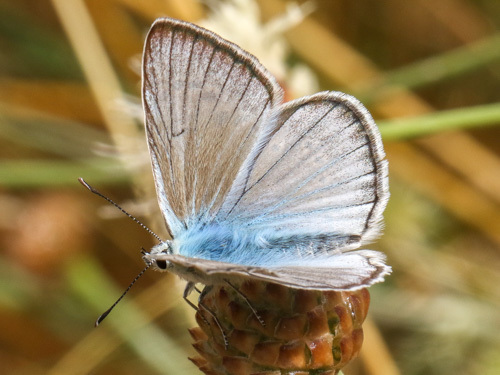 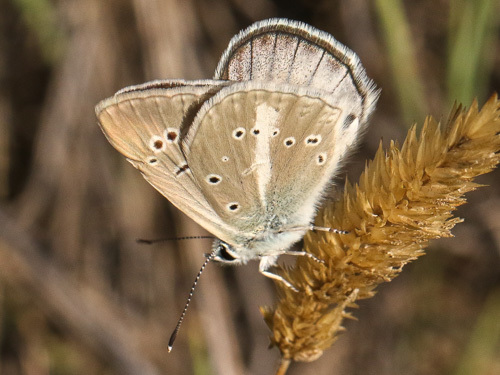 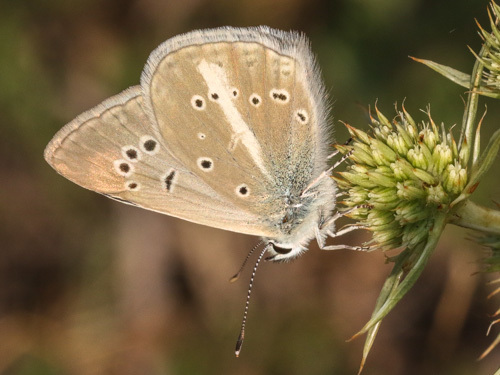 The males are subtly paler and creamier in the shade of blue on the upperside, although this is subjective. 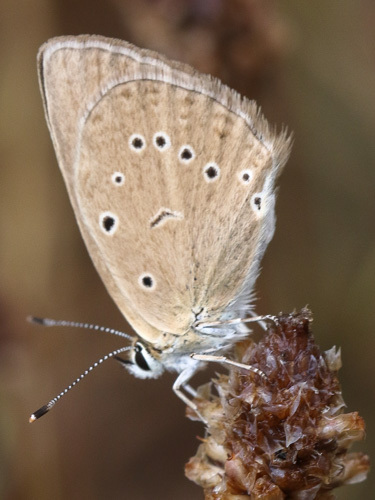 Females are extremely difficult to identify. 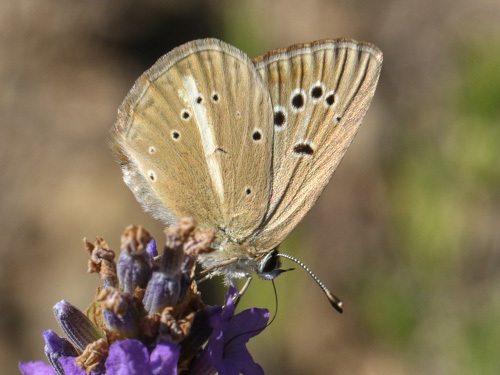 Distribution & Flight: Restricted to the region to the south and southwest of the Pyrenees. 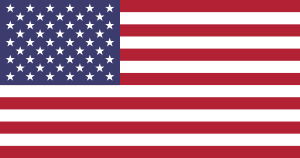 July/ August. 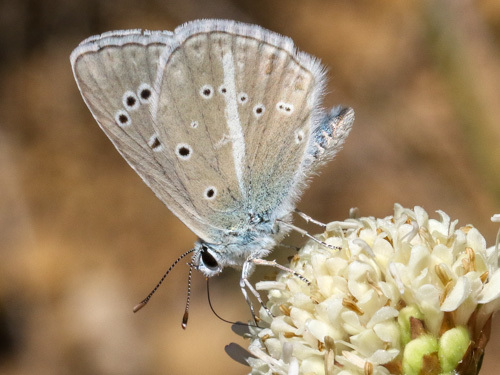 Habitat & Behaviour: Hot dry grassy places with flowers.